– 5 to 6 p.m., first Tuesday of each month, at St. Luke’s Episcopal Church, 320 Second St., Marietta. – 11:30 a.m. to 1 p.m., fourth Tuesday of every month, First Presbyterian Church, corner of Fourth and Wooster streets, Marietta. – Daily Bread Kitchen, 11:30 a.m. to 1 p.m., every Wednesday, at St. Mary’s K of C Hall, 312 Franklin St., Marietta. – 5 to 6 p.m., second Thursday of each month, Tunnel United Methodist Church, Ohio 550 and Coffman Road, Marietta. Handicapped parking is available in the upper parking lot by the church entrance. To request to have a meal delivered within a five-mile radius, leave a message at 740-374-5634. – Free community meal, 11:30 a.m. to 1 p.m., first Friday of each month, at Christ United Methodist Church, 301 Wooster St., Marietta; free home-cooked meal served in fellowship hall; all are welcome; no charge, donations accepted; for more information, go to www.christumcmarietta.org or call 740-373-1512. – 5 to 6:30 p.m., second Friday of each month, at The First Unitarian Universalist Church, 232 Third St.; everyone welcome; fellowship hall is accessible and meals offer a variety of healthy choices; for more information, 740-373-1238. – 5 to 6 p.m., third Friday of every month, at Norwood United Methodist Church, 23 Colegate Drive, Marietta. – 11 a.m. to 1 p.m., third Saturday of each month, Faith United Methodist Church, 503 Seventh St., Marietta. 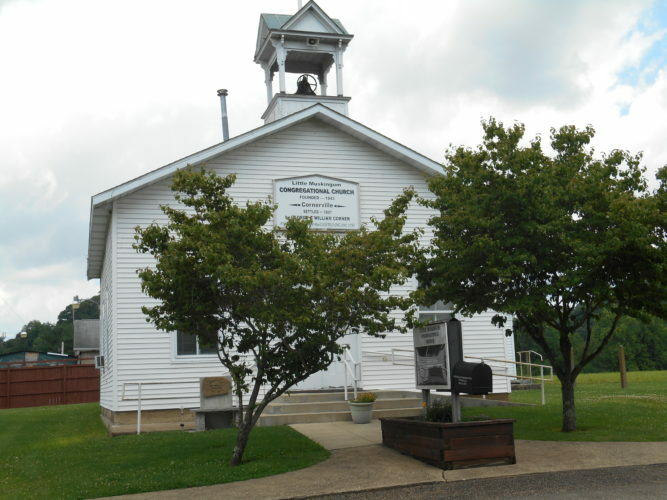 – Beverly United Methodist Church community lunch, 11:30 a.m. to 1 p.m., the last Saturday of each month; church is handicapped accessible; call ahead for carryout at 740-984-2100.